With a population of over 225,000, Reno is the largest city in Northern Nevada. 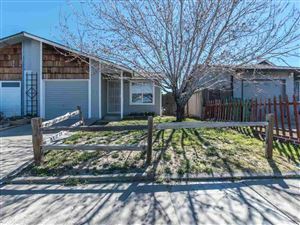 It is located in the southern part of Washoe County, nestled on the eastern slope of the Sierra Nevada Mountains in an area called the Truckee Meadows. Reno/Tahoe International Airport is located approximately two miles from Downtown Reno, and is serviced by most of the major airlines. Reno/Stead Airport is a general aviation airport located about 15 miles north of the downtown area. It is home of the annual Reno National Championship Air Races. The City of Reno is host to an eight-day 50's nostalgia celebration called Hot August Nights; the Great Reno Balloon Races; the Reno Rodeo, one of the largest rodeos in the west; the "Artown" festival in July, which has over 400 events in the month of July; as well as special events hosted by the Parks, Recreation and Community Services Department. Thanks to TravelorMove.com, they just named Reno, NV on their list of Super Cool Places ! You have come to the right place if you are looking for a great place to live. If you are looking for a house, condo, or townhome - search for Reno homes now!